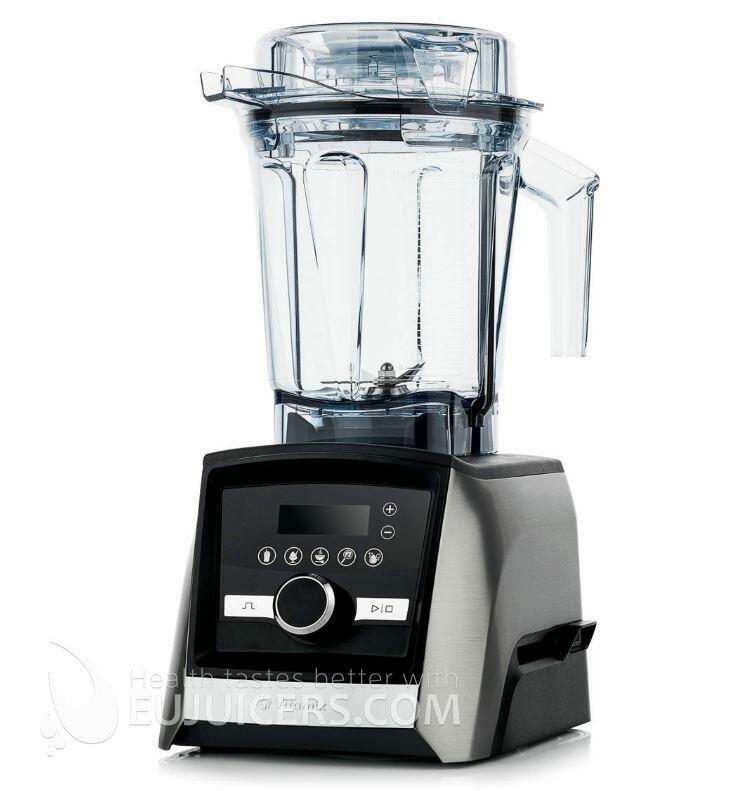 Vitamix is known for making the the most powerful and effective blenders in the world. With the Ascent series, Vitamix have updated their blenders with the latest technology while still keeping the power and efficiency they are known for. The Ascent series features NFC technology which automatically detects which blending jar is being used and adjusts the motor settings accordingly. The Vitamix A3500 differs from the A2500 by having two more preset programs and a full touch screen interface. The A2500 uses an analog rotary speed dial and physical toggle switches with a simple digital display. Vitamix blenders are consistently rated the best blenders on the market, and that is because they are built to commercial standards. They are built to tolerances far beyond what they will encounter in real world use. Few blenders give such consistent results - even nuts and dates are blended to the tiniest particles. 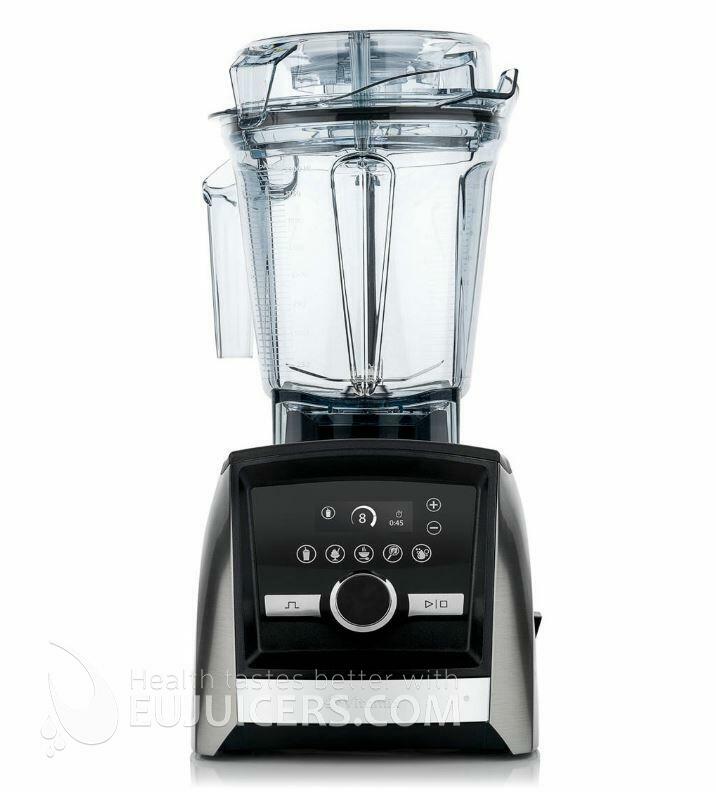 The Vitamix A3500 features a 1400 watt motor and a rugged stainless steel blade unit that is almost indestructible. Built like a tank, a Vitamix will be the last blender you'll ever buy. You can choose from 5 preset programs: smoothie, frozen desserts, hot soup, dips/spreads, and self-cleaning. The self-cleaning cycle cleans the jar and blades thoroughly just by filling the jar with warm water and adding a drop of soap. The Ascent series feature NFC (near field communication) technology that allows the blender to detect which blending jar is attached and adjust settings accordingly. 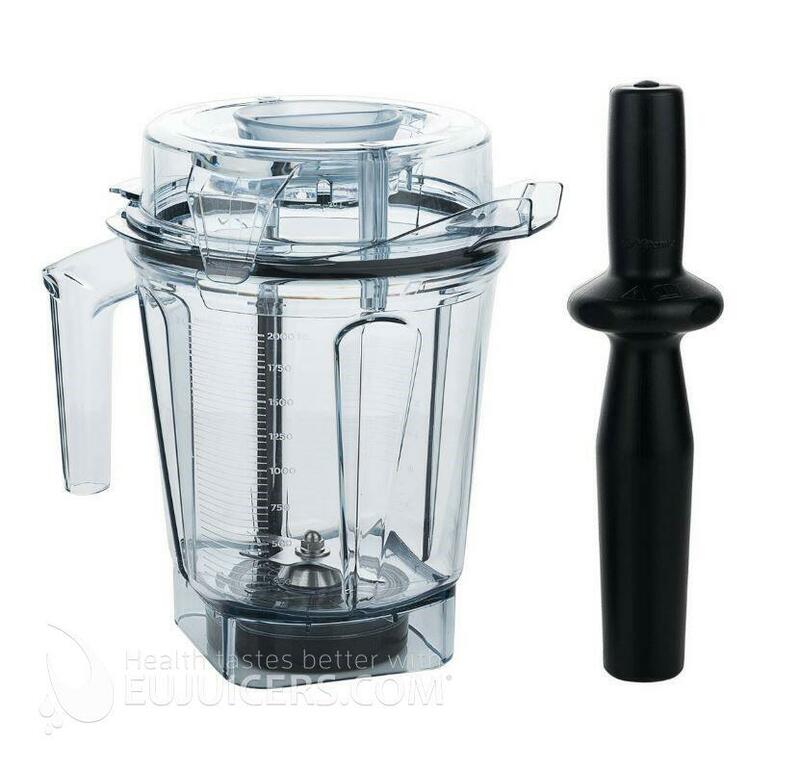 It is also a safety feature, as the blender will not operate unless the blending jar is properly attached to the base. At the time of release, the only blending jar available for the Ascent is the included 2-liter container. However Vitamix plans to release two new "to-go" containers in the Fall of 2018. These will feature flip-top lids so you can take your blending jar with you on the road or to the gym, and will be available in 225 ml and 600 ml sizes. All Ascent blending jars are BPA-free and resistant to natural discoloring from produce such as beets or carrots. They are also dishwasher safe. 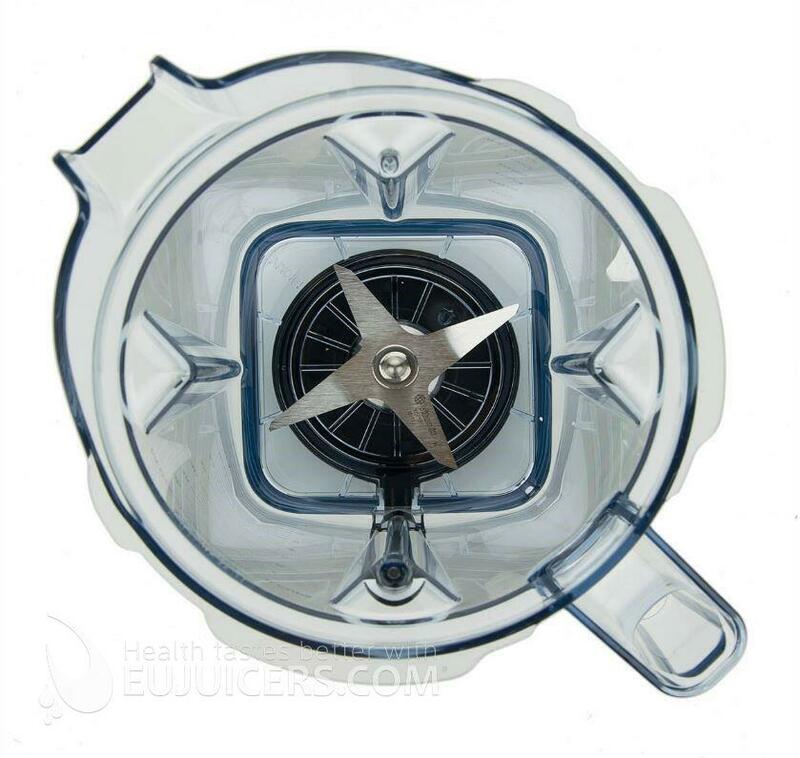 The Ascent series blenders are the first from Vitamix to feature a clear lid. This allows you to see inside the container while blending. It is especially useful when using the tamper. The tamper fits into the hole in the lid and allows you to manipulate ingredients during blending. It is long enough to effectively move and stir contents of the blending jar without making contact with the blades. The Ascent series is a big step forward for Vitamix, but mainly in terms of design and interface. The NFC adjusts the settings according to the container, but we couldn't try that since there is currently only the 2-liter container available in Europe. Unfortunately the NFC also means that older Vitamix containers are incompatible with the Ascent series. The performance in the Ascent series remains the same as in their classic series, and that's a good thing. As with any Vitamix, you can be sure that whatever you blend will be processed very effectively. All the Ascent models perform the same - the differences between models lie in the interface, available programs, and the colors/finishes. The A2500 will be enough for many users, as it is priced well (for a Vitamix) and offers plenty of power, simple controls, 3 programs, and NFC technology. The main upgrade with the A3500 is the touch controls and graphic display, as well as the stainless steel body and 5 preset programs. We like the graphic display and haptic feedback on the A3500. Combined with the stanless steel body, it gives it a very premium feel. But the A2500 still looks good, is very simple to use, and performs exactly the same. You can't realy go wrong with either blender.